Aptec gets ‘Value-Added Distributor of the Year’ Award at Channel ME Awards 2012. Leading distributor confirmed forty percent growth of its VAD business YoY. 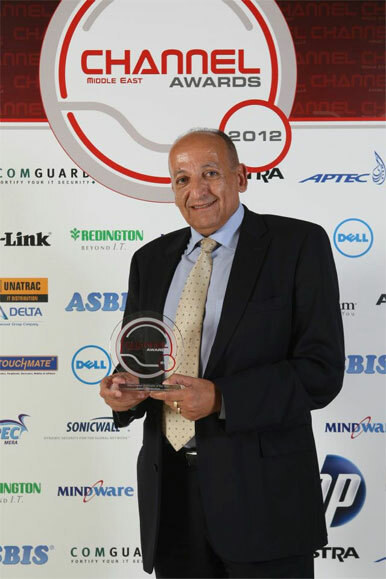 Dubai, UAE, 31st March 2012 – Aptec Holdings, the leading technology distributor in Middle East, Pakistan, Turkey & Africa, has been awarded “The Value-Added Distributor of the Year 2012” at the Channel Middle East Awards 2012 Ceremony. The ‘Channel Middle East Awards 2012’ held at the Westin Hotel, Dubai, on the 28th of March, brought together the leaders of the channel business in the Middle East region to recognize the outstanding achievements of the channel over the past twelve months. More than 300 channel executives attended the action award packed event. Aptec won the award for its outstanding achievements in the field of Value-Added distribution which were recognized by all judging panel members. The Judging panel of the awards applauded Aptec’s multiple initiatives related to channel development and solutions offerings in the field of Datacenter and virtualization, Cloud Computing, storage, security, networking and other technologies. From a traditional distribution, Aptec has been making the transition to Value Added Distribution for some time now with the establishment of ATS, its professional services, and Advanced Logistics Services (ALS), addressing some of the needs of its vendor partners in 25 countries. Aptec now offers a multitude of solutions with products supplied by more than 30 of the world’s leading IT vendors. “As one of the largest distributors in the region, we have a commitment to our partners to stay relevant and ensure that they have access to products and solutions that match the needs of our partners’ customers. We have been slowly transitioning towards value added distribution (VAD) and have been streamlining our portfolio and partnerships to reflect this change. We are happy to get recognition and appreciation of the channel in a form of Award from Channel ME.” Earlier this year Aptec announced that its VAD business in 2011 has grown by 40 percent compared to 2010. In 2011, Aptec added offerings that addressed enterprise solutions for SMBs in cooperation with Microsoft, Dell, Cisco, NetApp, Oracle, SAP and several others. Aptec also signed agreements with Riverbed, Veeam, Virtual Sharp, Allied Telesis, NET, SAP Business Objects in the same year to address some of the emerging technology needs in the region. As one of the largest distributors in the region, Aptec offers its partners support in terms of finance & credit facilities; marketing tools as well as local interaction with qualified staff across the Middle East in more than 20 locations in 11 countries. The company invested in training centers that contribute to the skilling up and training on technical competencies.